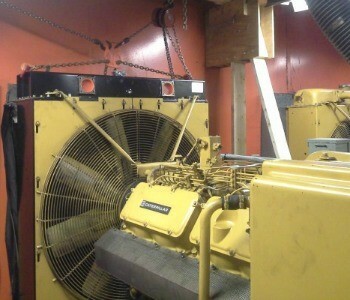 We specialize in industrial generator radiator repair and removal of complete cooling units. 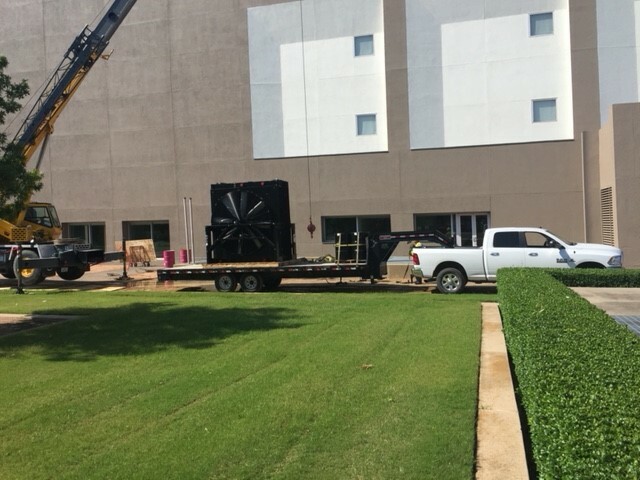 We can repair radiators & coolers on site or transfer them back to our shop location in Fort Worth. 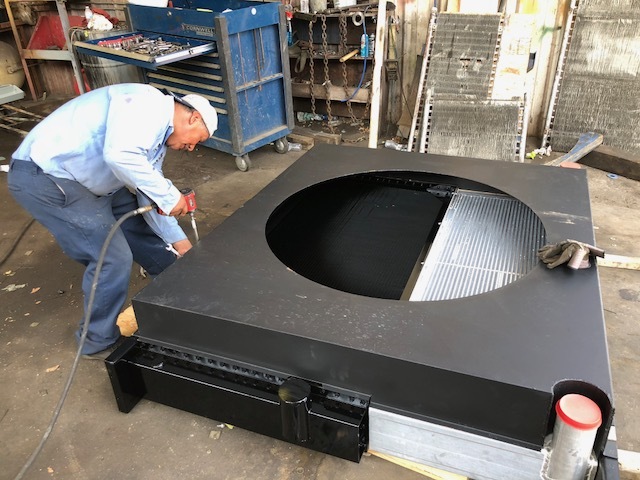 We offer a large range of services from welding hit spots, to killing out bad tubes, rodding & regasketing cores to installing brand new cores. 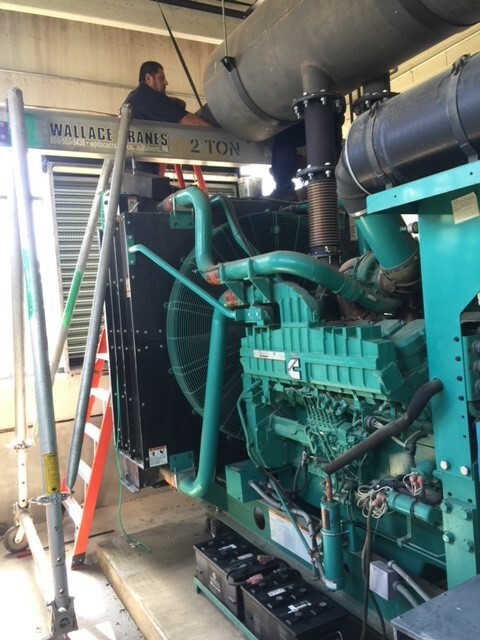 We also offer genset replacement options and carry genset cooling packages in stock and if we do not have the cooling package in stock we can order or custom build to our customers’ needs. Give us a call today and let us come out and do a free diagnose inspection to see how we can serve your needs. 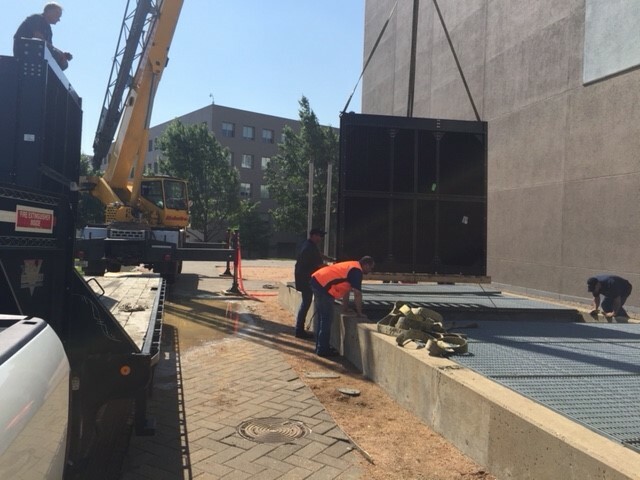 We know time is money and when a generator is down and back up units have to be rented we know the costs are high, so we work quickly to make sure the unit is back and ready to roll as soon as possible.